Amazon has appreciated the many milestones in company sales that the Kindle and Kindle books alike have achieved, and it hopes to continue profiting from its latest successful franchise. As some may know, Amazon has recently reaffirmed its stance in this market with an immense price drop for the Kindle down to the current $189 tag. This move seems to have paid off, because Amazon announced today that the wide selection of Kindle books have now surpassed the company’s hardcover books sales in the United States. Bezos’ statement brings up a good point, but also provokes an interesting argument. Should the Kindle overtaking hardcover sales be interpreted as a step towards further success, or simply as a limitation to the devices’ market? Amazon would eagerly suggest that these figures show that the Kindle is unstoppable and that customers are dropping physical books in favor of digital copies, but perhaps there is a more pessimistic take to the whole situation. Hardcover books by no means outsell paperbacks. And until we can see the Kindle surpass paperback sales, it’s tough to claim that the device, let alone e-books in general, have replaced physical books in today’s book market. Over the past three months, for every 100 hardcover books Amazon.com has sold, it has sold 143 Kindle books. Over the past month, for every 100 hardcover books Amazon.com has sold, it has sold 180 Kindle books. This is across Amazon.com’s entire U.S. book business and includes sales of hardcover books where there is no Kindle edition. Free Kindle books are excluded and if included would make the number even higher. 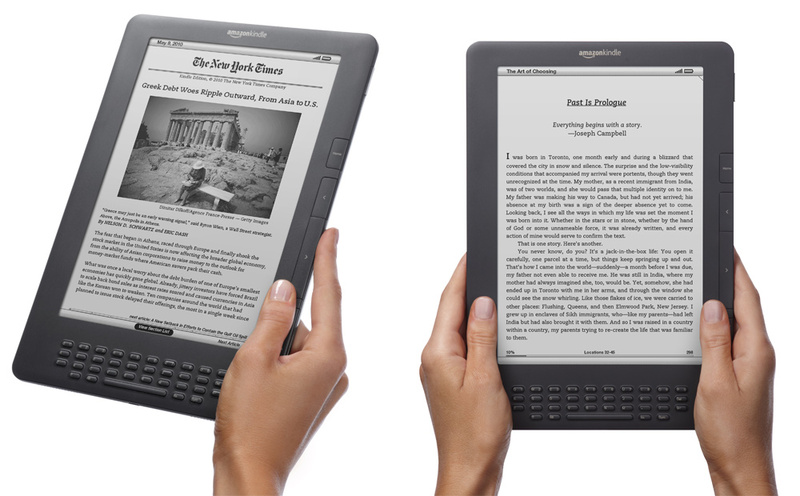 Even those who don’t own a Kindle can access Amazon’s eBooks through a multitude of platforms such as PC, Mac, iOS, Android, and Blackberry devices. There are plenty of professionals and heavy-readers that will eagerly fight against the Kindle when it comes to eReaders replacing shelves of tangible reading material. Jeff Bezos is providing evidence of just how successful an intelligently designed eReader can be along with a variety of e-book. Whether or not these sales imply that the eReader will replaces physical books, it shows how the Kindle platform has advanced eBook technology in a slim, convenient manner. Kindles Rock! I have been an avid “real” book reader my entire life and thought I would not really like this device. boy, was I wrong! My husband gifted one to me, and I now actually prefer it to paper books, Enlarged text sizing, portability, look and feel. Every reader should own one. The day is not far off when hardcover books will vanish from this world and e-books will replace them.